Police often find themselves in situations where they are responding to an individual who is or appears to be, mentally ill. These interactions often lack understanding between both parties, making it more challenging to produce positive outcomes. 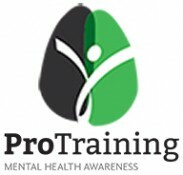 Created by ProTraining, Scenario Based Mental Health and De-escalation Training is an award winning course designed to help officers with skills in the areas of expressed empathy, effective verbal and non-verbal communication, and de-escalation in order to improve the quality and safety of interactions with individuals who have, or may have, mental health issues. Using interactive scenarios and 'lived experiences', this course engages learners at critical decision points to demonstrate how responses and behaviors can defuse an interaction, improve a subject's cooperation and decrease the need for force. This course was created from evidence based research conducted over a 5-year period at the University of Alberta. Due to the value that this type of training provides law enforcement agencies with, the WCPA has entered into a partnership with ProTraining and encourages our Association Members to please visit www.wichiefs.protraining.com to watch a FREE ONLINE TRAINING DEMONSTRATION and consider selecting the "Train Your Staff" to sign up, purchase courses and experience their unique training.